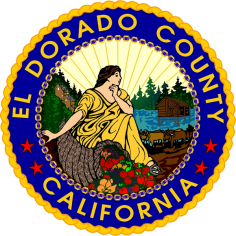 (PLACERVILLE, CA) – El Dorado County’s Registrar of Voters, Bill O’Neill today reminded County of Eldorado voters there is a Special Election on March 26, 2019 to fill a vacancy in Senate District 1. If necessary, a run-off is scheduled for June 4th. “All registered voters are eligible to participate in this County-wide election,” said O’Neill, noting there are important dates to keep in mind as Election Day approaches. Residents who are registered, or would like to register, can register and receive a Vote By Mail ballot at the Elections Office at 2850 Fairlane Court in Placerville and the Recorder-Clerk’s office at 3368 Lake Tahoe Blvd. #108 in South Lake Tahoe beginning February 25th, the same day that ballots will be mailed. Additionally, residents may register in-person at the County Elections Office from March 12th -26th to be eligible for this Special Election through the Conditional Voter Registration process. The last day to request a Mail Ballot is March 19th, which can be done by contacting the County Elections Department at 530-621-7480. Registered voters may cast their ballot at their polling place indicated on their Voter Information Card or at the Elections office in Placerville or the Recorder’s office in South Lake Tahoe. “If you are unsure if you are currently registered and eligible to vote, please contact the El Dorado County Elections Department at 530-621-7480 or online at: https://voterstatus.sos.ca.gov/,” O’Neill added.